The Honda Accord underwent a full redesign in 2013 and while we’ve seen significant updates to each year model after, most midsized sedans are still playing the catch up game! The new 2017 Honda Accord is above and beyond any other make or model in its class, and you can’t go wrong with purchasing this reliable model from our Honda dealership. Consumers expect newer and better technology with every new car model released, and the 2017 Honda Accord never disappoints. It also provides the ultimate in safety and comfort features for mid-size car buyers. 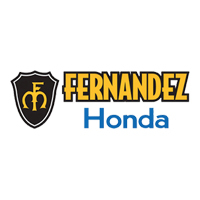 To get a better idea of available trims and features come see us at Fernandez Honda, in San Antonio, TX. Our experienced staff will go through all options so that we can find the best fit for you and your lifestyle. Come in for a test drive of the new 2017 Honda Accord today! A Sport Special Edition sedan is new for the 2017 year model Accord. It includes the regular Sport’s features plus heated leather seats with red accent stitching. Other notable interior features on various new 2017 Honda Accord trim levels include power driver seat, Honda’s LaneWatch™ blind-spot camera system, a six-speaker sound system with a 7-inch touchscreen interface (the standard 7.7-inch display remains as well) and satellite/ HD radio. Also standard is smartphone app integration via HondaLink® (with smartphone-enabled Aha radio features), Android Auto™ and Apple CarPlay™. All this, and you’re still not even limited with additions and customizations to the new 2017 Honda Accord. The new 2017 Honda Accord’s exterior is marked by sleek, sharp lines that lend a sophisticated air to the vehicle. The rear of the vehicle features a distinctive design that is accompanied by bright LED taillights and an available parking sensors that alert you when approaching an object. Honda engineers took special care when designing the wheels on the 2017 Accord to give them a signature look that will turn heads on the streets of San Antonio. New 2017 Honda Accord drivers can take it up a notch by opting for the Accord EX which boasts all the above features plus some! By upgrading to the EX you’ll get 17-inch wheels, LED daytime running lights and foglights, heated mirrors, a sunroof, keyless ignition and entry, remote ignition (with the automatic transmission and one-touch power moonroof with tilt feature. The 2017 Accord provides ample horsepower for everyday activities even when you start at the base model LX. Stepping up the new Sport Special Edition CVT gives you even more juice with the addition of the 2.4L 4-cylinder engine. As with any Honda vehicle, the Accord ranks among the leaders in fuel economy in its class. Honda has been known throughout the decades for producing some of the most fuel efficient vehicles on the planet, but they didn’t sacrifice performance with the new Sport Special Edition CVT. Our San Antonio Honda dealership has been proud to provide quality Honda vehicles, parts and service to customers in the La Vernia, Universal City, Helotes, Selma and the San Antonio area for years. Stop by today and shop our big selection of new, pre-owned and certified used models. We have the new 2017 Honda Accord available in many different colors and trim levels. Our Honda service department is staffed by factory certified Honda technicians who know your vehicle inside and out. If you are located anywhere in the San Antonio region – come by our Honda dealership and test drive the new 2017 Accord.